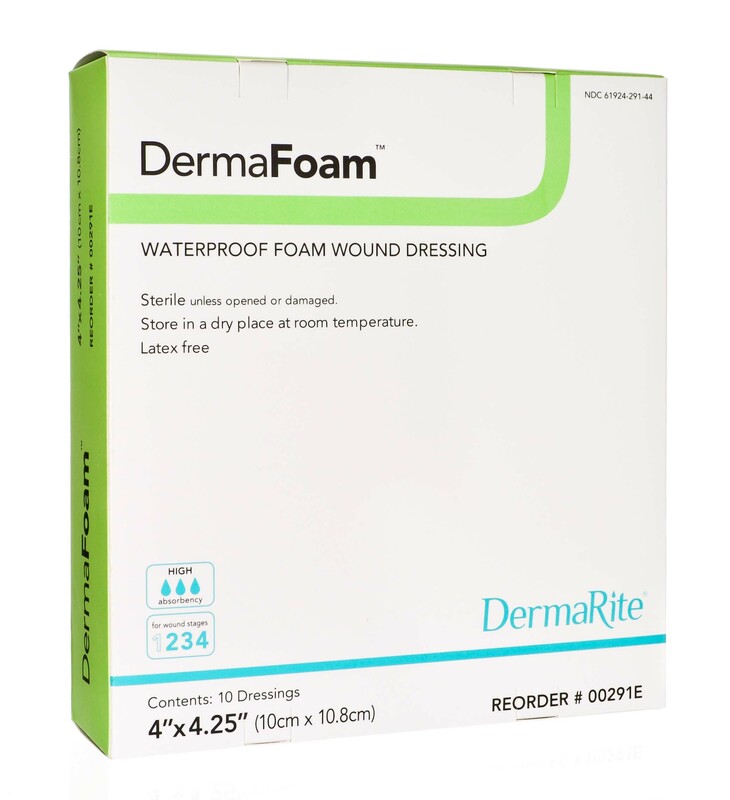 DermaFoam is a highly absorbent, waterproof sterile foam dressing suitable for moderate to highly exudating wounds. 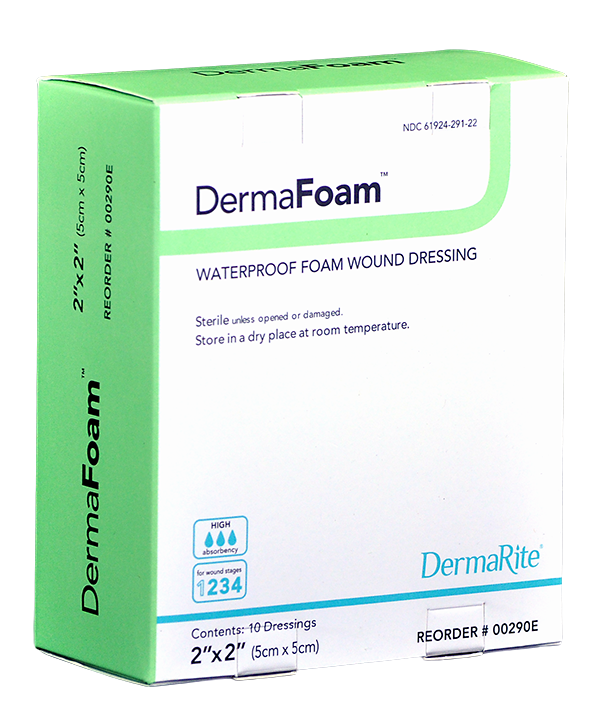 Foam is bonded to a semi-permeable polyurethane outer film that allows the wound to breathe while maintaining an ideal moist wound environment. 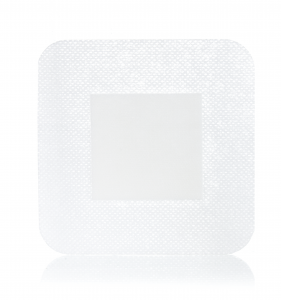 The outer layer also helps prevent bacterial contamination. Conforms easily to awkward-to-dress areas. 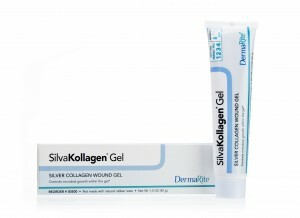 Protects and cushions the wound. 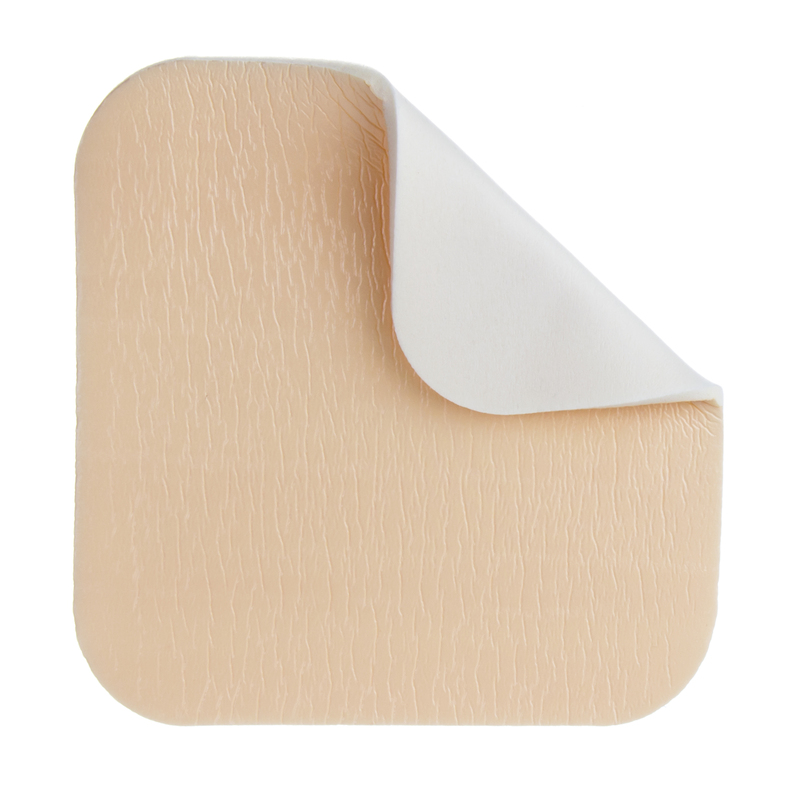 A primary dressing that may be used for the management of acute or chronic partial and full thickness wounds/ulcers with moderate to heavy exudate.